What Does Smart Technology Control Entail? 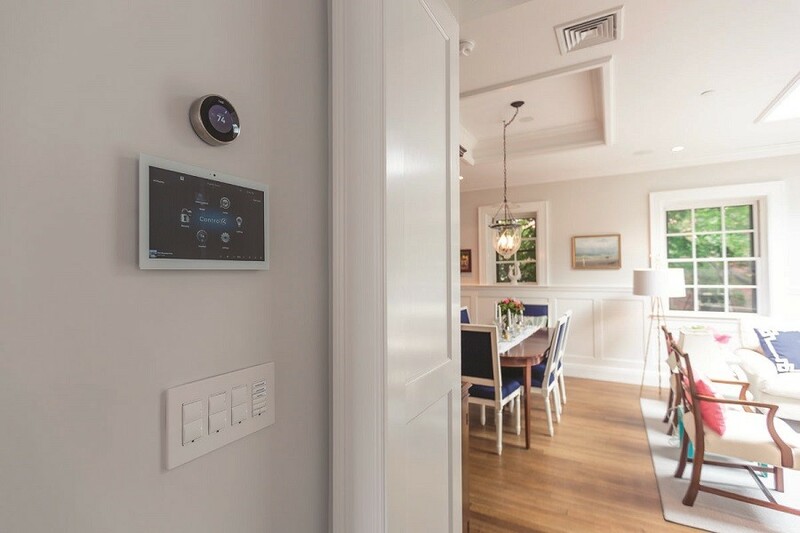 Regardless of whether you already own connected technology or you’re just now ready to build the smart home of your dreams, a properly integrated control system adds convenience to your lifestyle. Here’s how. In a custom technology control solution, your local integrator will skillfully merge the controls for all your connected devices into a single system. From this new control system, you will be able to manage your entire collection of smart home technology from one encompassing interface. That means you will be able to turn off every light in your home with just the press of a button or create custom technology “scenes” that simultaneously activate multiple functions through a single command – like a “Good morning” scene that automatically turns on the lights in your bedroom and master bathroom and begins playing your favorite Spotify playlist from your speakers as you prepare for the day. So, how can you use an integrated technology control setup? We explain below. When a professional technology integrator builds a custom control system for your devices, you can manage it in a variety of ways. Just choose the one that’s most convenient to you. Universal remotes – Place one or several remotes throughout your home, from which you can manage lights, entertainment, security and more. In-wall keypads and touchscreen panels – Strategically located throughout your property, you can activate scenes and access your entire control system interface through flush-mounted devices. Smartphone or tablet application – Yes, you even can control your smart home from your mobile devices. Just download an app, and you can manage your technology anywhere you go – whether you’re at home or halfway around the world. Voice – Use your virtual home assistant such as your Google Home or Amazon Echo to manage your connected devices. Through just a verbal command, you can control your smart technology. Best of all, a smart home system can be scalable to your preferences. Want to add another device or an entirely new system, like motorized shades or whole-house audio, to your existing arrangement? Your local technology expert easily can add it to your smart home setup. If you’re interested in adding smart home control to your property in Vancouver or throughout the Portland metro area, we encourage you to reach out to us today! You can get in touch with a member of our team right now, just by clicking below.